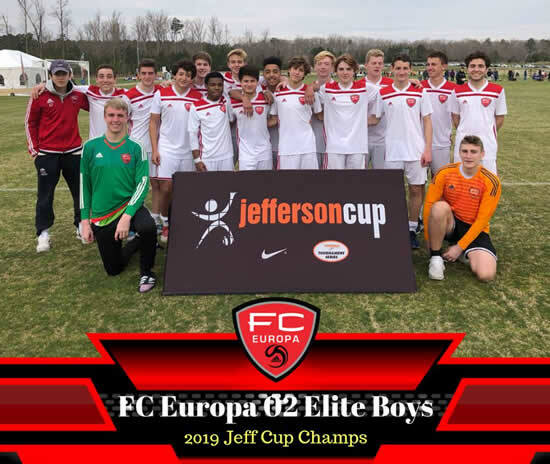 FC Europa is a premier youth soccer club providing competitive excellence in soccer development through a balanced approach to skills, fitness, knowledge and leadership while supporting and enabling college placement, high school participation and an ongoing love of the game. FC Europa sets a standard of excellence by providing the highest possible level of professional technical and tactical training in the region. Our coaches are carefully selected and widely regarded as some of the best in their field. For information regarding our intramural program, please visit the Tredyffrin Easttown Youth Soccer Association website at www.TESoccer.org. For FC Europa and TEYSA news, join our mailing list. The tryouts schedule has been revised as of 3/24. Please continue to check for updates. All FC EUROPA teams will be organized by the player's birth year; a player may only tryout for the year in which she/he was born. Any player that wants to try out for an older age group must email the request to the Director of Coaching, , prior to tryouts. FC Europa Coaches for the 2019-2020 season have been announced. Unless conditions are unsafe, tryouts held at Delaware Valley Friends and Villa Maria turf fields will go on as scheduled. To help defray the costs of the tryout process, which includes professional trainers and other incidental costs, there is a $10 nonrefundable fee. To ensure the quality of our program, FC EUROPA hires professional dedicated coaches licensed by UEFA, English FA, NSCAA and USSF organizations and have played or coached professional or college soccer. Our Coaching Staff provides the highest possible level of Technical and Tactical training. All FC EUROPA teams boast a high level professional coach who is fluent in modern day soccer training methods.